It soothes and moisturizes nails and cuticles while effectively removing nail polishes. The acetone free formula makes it perfect for both natural and artificial nails. A revolutionary formula that features organically sourced plant ingredients. Fast drying and long lasting, it guarantees excellent performances. The costant use will visibly regenerate the nails. Use it to push cuticles back and clean the nail plate. 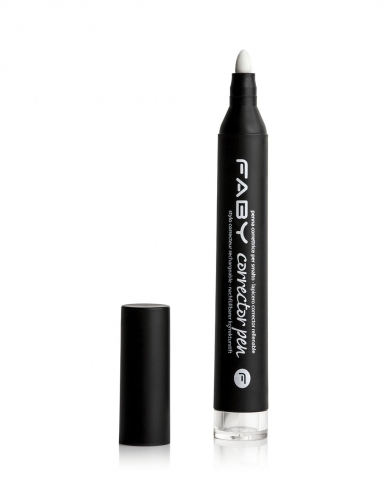 Faby Double is an “all in one” product: it works as both base and top coat, helping you save time. Two functions and two effects, for clean and healthy natural nails. Reduces drying time and lengthens nail polish wear, giving it a perfect finish. 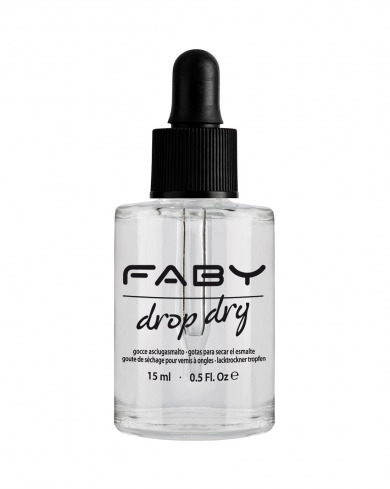 It prevents cuticle dehydration drop by drop. A solution that removes the dispersive layer of the finished Lacquering Gel service, giving it an extra shining glossy look. It prevents natural nails chipping. Double Grit: use medium grit side to shorten natural nails, use the other side to redifine nail sides and all details. If properly stored and kept Glass File is everlasting. 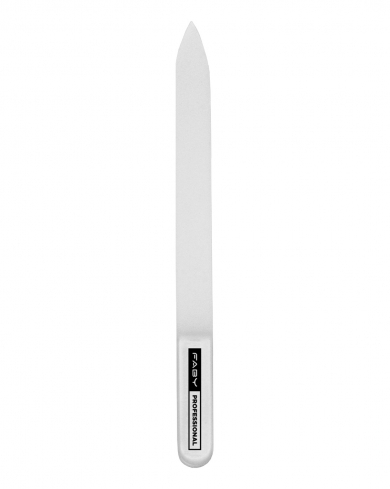 An everlasting glass file ideal to shape and refine natural nail with the maximum of gentleness. Use the medium grit side to shorten the nails, and the other side to make the shape perfect. 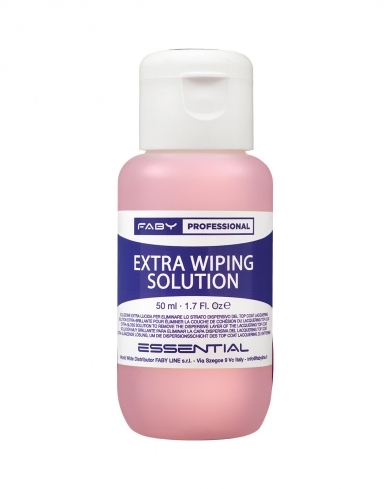 Professional acetone based remover enriched with aloe vera and moisturizing agents. Thanks to its formula it doesn’t dry out cuticles and nails. It gently removes all polishes, including glitter ones. 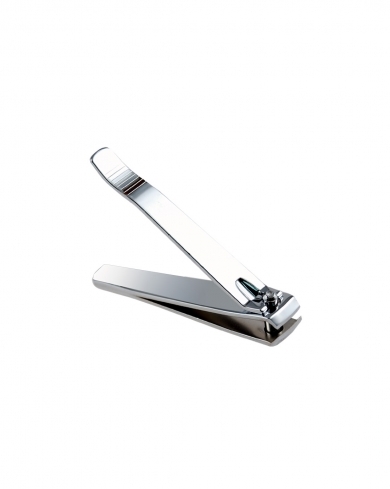 Professional nail clipper for nails, perfect for both hands and feet. Suitable to be sterilized in an autoclave. Pen with chisel tip, soaked with solvent, to correct nail varnish smudges quickly and with precision, for that perfect manicure. Contains a spare tip. 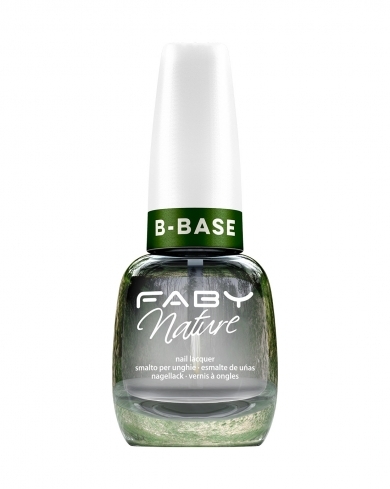 Contains Faby solvent with delicate formula without acetone to remove imperfections in the cuticles and on nails. A professional polish-saver solution that restores the correct nail lacquer fluidity, making application easier. New generation wellness oil with anti-age action. Its vitamin E and micronised plant oils moisturise, nourish. Oxygen Base coat provides an anti aging protection, making it perfect for every nail (including weak and damaged ones). An innovative plant complex combined with oxygen technology and a mix of antioxidants and vitamins help nails stay young, preventing early ageing. 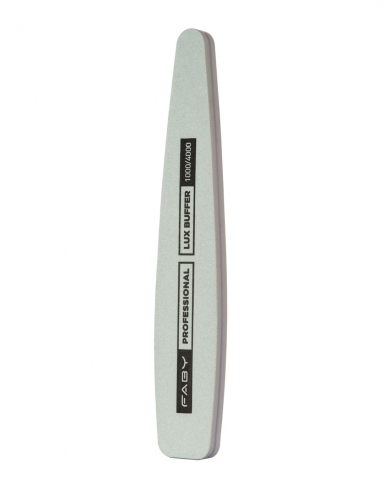 Faby Power is an innovative strengthening and restructuring nail treatment. 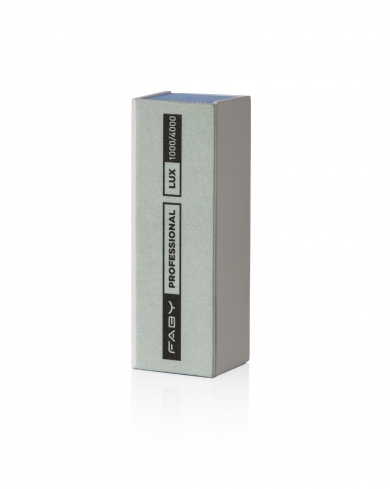 Indicated for thin, fragile and damaged nails, works on the keratin by thickening the nail plate (from 12 to 50%). Clinically tested, after 4 weeks of use your nails will look healthier and thicker. 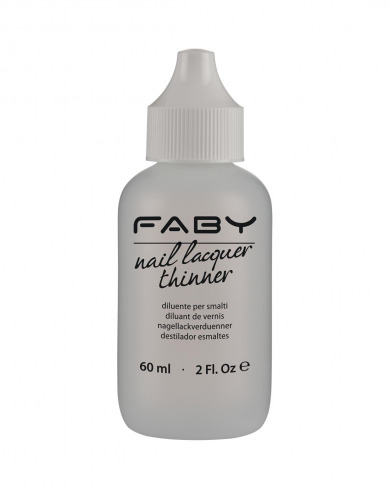 Faby Nail Renew is the first Anti Age treatment for nails. Its formula combines technology and nature to contrast and prevent nails imperfections and flaws: after 3/4 weeks of constant use nails are restored and hydrated, their color consistency improved. A multi performance products, that gives 7 different benefits in one simple coat. Anti age base coat with filler effect, indicated for ridged and yellowed nails. An innovative plant complex and a cocktail of vitamins helps nails stay young, preventing premature ageing, while the mineral particles instantly correct unevenness and yellowing. 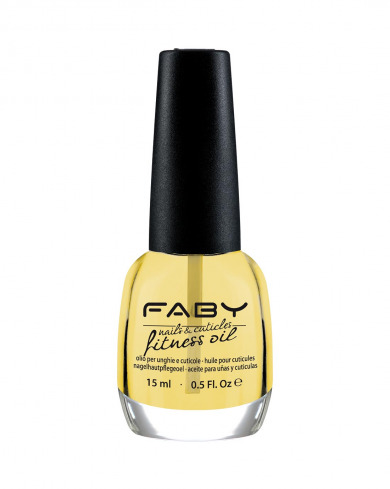 Faby Top Coat Matte gives your manicure a beautiful and long lasting mat effect, while protecting your nail polish color.